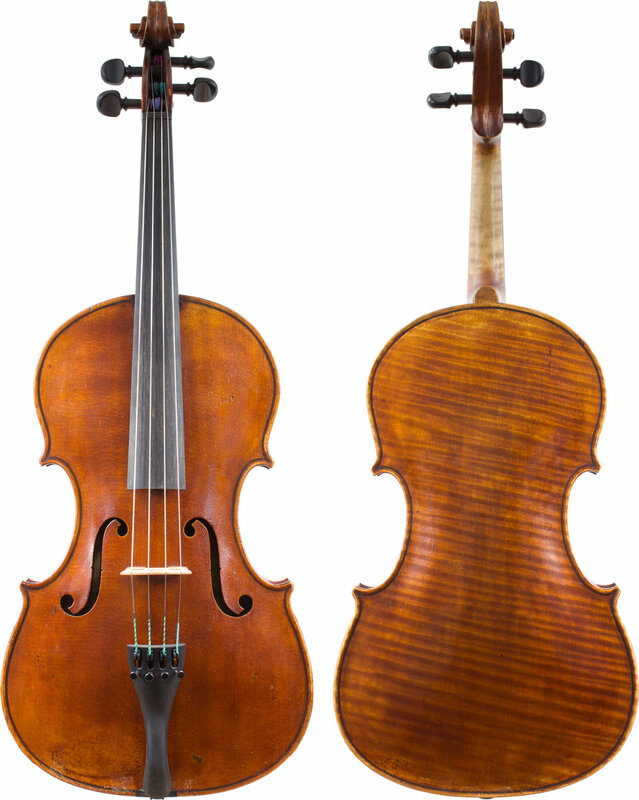 With a striking one piece back, this English viola is a fine copy of Boullangier’s work. It features a rich, open sound and a beautifully dynamic range. Charles Boullangier worked with Vuillaume, Gand and Bernardel, before moving to London in 1849 to join the Withers Workshop. He set up his own business around 1856, and was heavily influenced by John Frederick Lott II's 'del Gesu' models. Label: Charles Boullangier / Fecit London 1892, bearing the stock-number of J&A Beare Ltd, 6758. Length of back: 410mm / 16⅛"